Video is an awesome way for any small business to engage new leads and connect with their community. The rise of amateur filming by anyone with access to a camera means that every consumer is used to, and indeed expects, companies of all sizes to have video content. Facebook video in particular has become the biggest social media channel for that content, so if your business hasn’t jumped on the bandwagon yet, now is the time to start. This infographic from The Business Backer provides a wealth of tips about how to produce and publish Facebook video that can make a real difference to your business. From creation to marketing the roadmap to success is right there. For example, no video should ever be more than two minutes long as that’s when viewers start to lose interest and engagement falls off a cliff. You can secure that attention by maximizing the value you are offering to your community through creating how-to or explainer videos that pass on your expert knowledge. Another tip is to keep the supporting content short and snappy with a call to action, which is shown to lead to a 185% increase in click-through from viewers. Also, the Facebook Ads platform allows you to target your videos to precisely the audience you want. 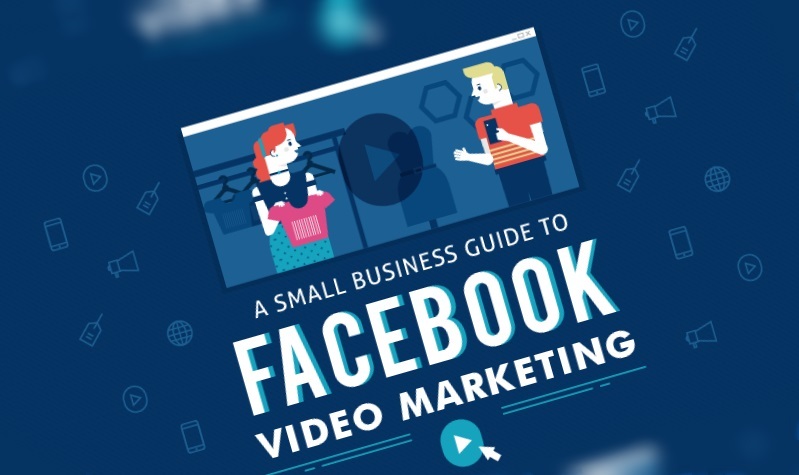 Facebook video is an accessible marketing tool for any small company so get shooting, follow these tips and see how it can give a boost to your business.